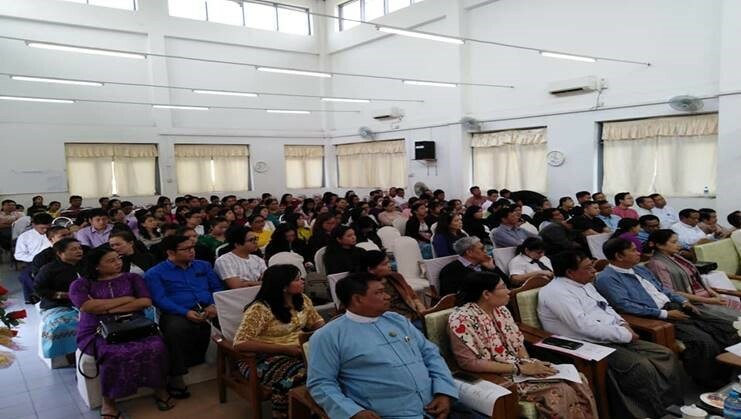 On 30 March 2019, Diberjohn Balinas (DFDL Myanmar Senior Tax Manager) participated in a Business Knowledge Seminar for Myanmar Small and Medium Enterprises (“SMEs”) in Yangon. The event was organized in partnership with the Ministry of Industry, SMEs, and the Industry Skill Development Center. 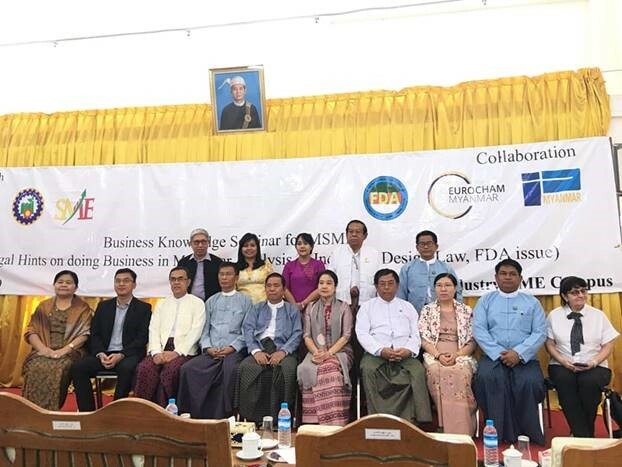 Other collaborating organizations included; EuroCham Myanmar, the Myanmar Intellectual Property Proprietors’ Association (MIPPA), and the Myanmar Food and Drug Administration (FDA). This seminar focused on tax, legal hints for business, industrial design, and the FDA. Diberjohn discussed recent Myanmar tax developments such as updates on the 2018/2019 Union Taxation Law, changes to the reporting of tax years, updates on recent Interpretation Statements issued by the Internal Revenue Department, along with recent tax reforms and key topics under the draft Tax Administration Bill. Experts from the Ministry of Industry, Ministry of Health and Sports, and MIPPA also gave a number of speeches. This seminar featured an impressive 200 or so attendees from various industries.